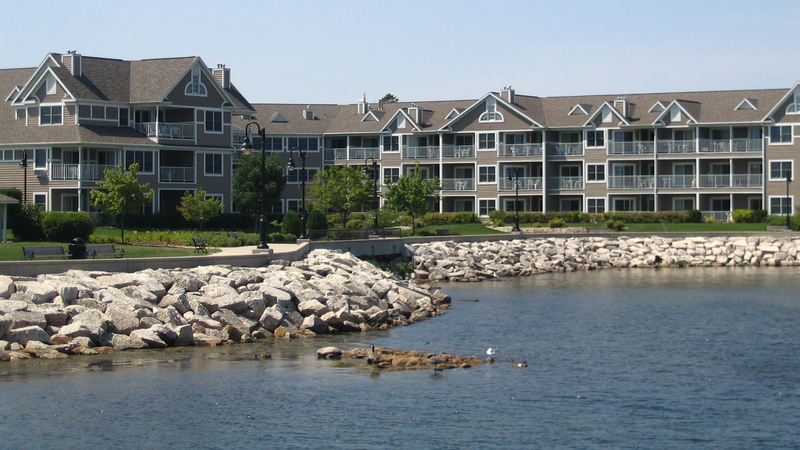 Bridgeport Waterfront Resort is Door Countys Grand Waterfront Resort. Deluxe 1, 2 & 3 bedroom suites. Full kitchen or wet bar, fireplaces, double whirlpool tubs and balconies, complimentary juice and coffee available daily. Resort amenites include: indoor/ outdoor pools, sauna, whirlpool, fitness center, indoor childrens play park & splash park, wireless internet, video game room, grilling areas and guest laundry. Next to a waterview city park w/ beach, tennis & playground.